5/22/1969: It was a historic day for the fact that the Mets reached .500 for the 1st time in 1969. Gil Hodges & his team were really starting to believe in themselves and wanted much more than being just .500. As the press was all smiles after the game, Tom Seaver told them “we’ll smile in September when we win the pennant”. 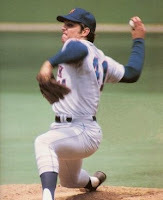 It was that same confident Tom Seaver who threw a three hit shutout against knuckle baller Phil Niekro & his Atlanta Braves, at Fulton County Stadium on this night. Seaver won his 5th straight and improved his record to 6-2 with a fantastic 1.96 ERA. 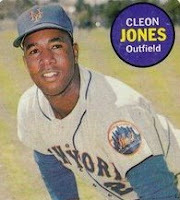 Cleon Jones, came into the game as the league’s top hitter, he would get two hits in this game, bringing his average up to .391. He dro ve in two runs in the 1st inning to put Seaver up 2-0. In the 8th inning the Mets would load the bases with Jones, Art Shamsky & J.C. Martin. 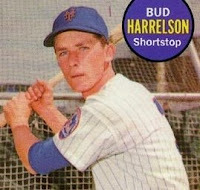 Bud Harrelson would drive them all in with a bases clearing triple. This gave Seaver a nice cushion to relax with for the 9th inning, as he completed the 5-0 shutout. The Mets still had a long way to go 7 games back.